The Paris of the Plains Cocktail Festival kicks off today and runs through Sunday. It’s a mix (pun most certainly intended) of seminars, tastings and bartenders competing. It’s a chance for you to nerd out on spirits, mixers or simply watch others make you well-balanced, interesting cocktails. Karaoke and mixology get mashed-up tonight at the recordBar (1520 Grand Blvd.). Making Movies performs a tribute to Federico Dante on Friday night from 9 p.m. to midnight in the Havana Room. Take a look at the history of sherry and whiskey with Manifesto and J. Rieger & Co.’s Ryan Maybee at 10 a.m. Saturday, or watch mixologists from five cities battle it out in the Midwest Melee from 6 to 10 p.m. Sunday at The Guild (1621 Locust St.). Treat yo self to a Welcome to Pawnee Celebration. The Weston Wine Company (540 Main St., Weston, Missouri) hosts a “Parks and Recreation” tribute Friday through Sunday with wine flights paired with waffles, a photo booth with Lil’ Sebastian and show-themed trivia. Novel (1927 McGee St.), which typically only offers dinner service, is serving lunch from 11 a.m. to 1:30 p.m. for First Friday. They’ll have tomato gazpacho, their take on a filet o’ fish, and a banh mi with braised pork belly, liver mousse and pickled vegetables. The Cornbread Buffet (1336 E. Meyer Blvd.) is open for breakfast and lunch. The breakfast is a continental spread (eggs, biscuits and gravy, sausage, bacon, waffles, French toast) served from 7:30 to 10:30 a.m. Monday through Friday. Lunch, which features Southern classics (chicken fried chicken, collard greens, cornbread and cobbler) is from 10:30 a.m. to 2:30 p.m. Monday through Friday. Brunch is available from 10:30 a.m. to 5 p.m. Saturday and Sunday. The Cornbread Buffet has also partnered with the University of Missouri-Kansas City to offer a restaurant management internship to UMKC students who work at the eatery. Black Sheep + Market (1815 W. 39th St.), a new market and restaurant concept which counts chef Michael Foust of The Farmhouse among its founders, opened this Wednesday. The market focuses on local goods: cheese, meats, jams, eggs and produce. The case is stocked with pastries, and it’ll be open from 7 a.m. to 6 p.m. for the first several weeks of operation. Dive into the wine of Missouri at Independence Uncorked from 1 to 6 p.m. Saturday at the Bingham-Waggoner Estate (313 West Pacific Ave., Independence, Missouri). Taste wines from more than 25 Missouri wineries on the grounds of the historic estate. Tickets are $30 in advance and $40 at the door. Homebrewers don’t just make beer. Learn the art of home brewing kombucha with The Brewkery (1433 Swift Ave., North Kansas City, Missouri) from 9 to 10:30 a.m. Saturday. You’ll learn what to do, and you’ll leave with the ingredients to start brewing kombucha at home. Your ticket ($20) to the class includes a starter culture, a tour , and two 4-ounce pours from the taproom. The Roasterie (1204 W. 27th St.) celebrates its 25th anniversary Saturday from 3 to 6 p.m. Slaters and KC Pinoy will be on hand, and there will be balloon animals, face painting, a bounce house and free coffee. Immerse yourself in the world of tea at the Midwest Tea Festival on Saturday (10 a.m. to 5 p.m.) and Sunday (10 a.m. to 5 p.m.) at the Ararat Shrine Temple (5100 Ararat Drive). 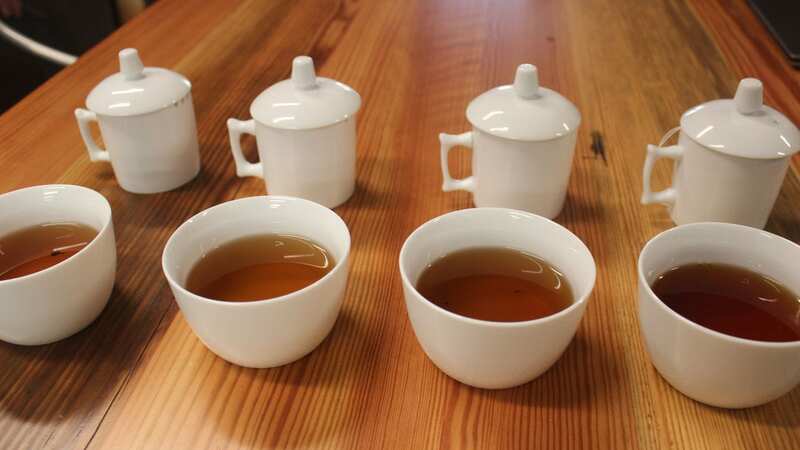 The fest, put on by Shang Tea, includes classes on brewing, tasting and cultivation. You’ll also be able to try teas from around the globe at pop-up cafes. A ticket for the day is $15 in advance and $17 at the door. Moon Shine on the Farm is Saturday night from 7 to 11 p.m. at the Deanna Rose Children’s Farmstead (13800 Switzer Road, Overland Park, Kansas). Tickets are $60 in advance ($75 at the door). The fundraiser for the farmstead includes Mad Mans BBQ, beer and wine and live music.